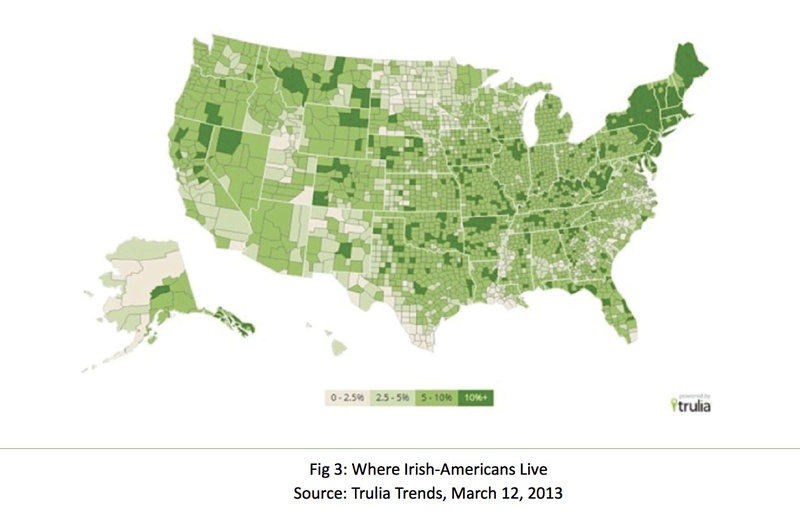 An interesting map produced by Trulia Trends shows the areas in the United States that have the heaviest concentration of Irish-Americans. New York and Boston are the obvious chunks but look at the sizeable parts of Nevada, Arkansas and Wyoming were Irish heritage is registered. 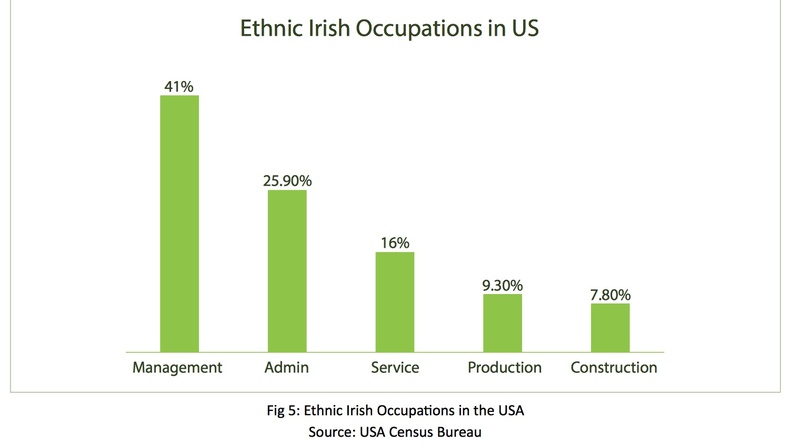 The map was re-produced in a UCD Clinton Institute report on Irish emigration which also showed the changing occupations of Irish-Americans, where once Irish Americans predominately worked in construction now they work in management and admin.